A toy cooker = hours of fun and a bit of peace for me. Although I do have to pretend to eat a lot of strange concoctions. A while ago when we were still plagued by moving boxes I decided to put a couple to good use and help Coco to make a hob. She loved doing the painting and gluing... and then she really did play with her little cooker. I intended to suprise her by making an oven too, (ie without her around to get too involved with more paint, glue and scissors), but it's funny what a difference six months makes, as the other day I felt confident/stupid* enough to just modify her little cooker with her. It's not very robust, and the kitchen roll handle has come off already, as has one of the milk bottle lid knobs - due to another child's insistence at attempting to 'turn' it - but still it really has provided lots of entertainment. This one, by Momoll would be my choice (on the left). I've got a feeling she'd prefer the one on the right from the Great Little Trading Co.
*Oh yes; despite the calm look of these 'making in progress' photos it was mayhem! Henry was obviously just pretending to be asleep because as soon as the paint came out he started screaming. Turned my back for a minute and the white on the front of the oven was getting over painted in blue. Then Coco's paintbrush disintegrated, leaving paint coated bristles everywhere. Sent her off to wash her hands. What sort of imbecile would trust a three year old to get all the paint off their hands properly? Hmmm, crying baby = no brain. Long story short, paint on the sofa, beans for tea and telly for Coco so I could clear up. Love the back story! And such a cute little cooker. 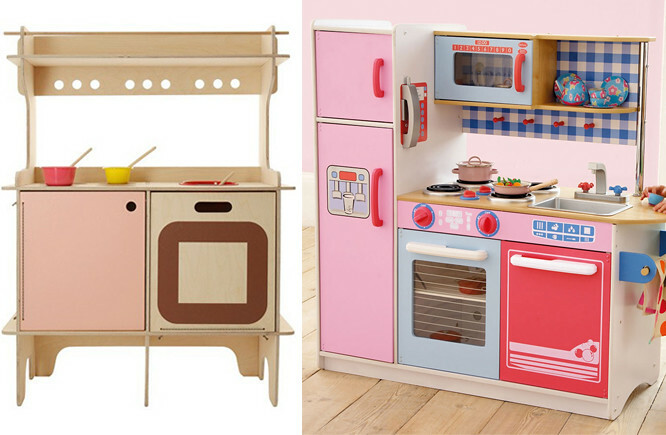 We ended up with a toy kitchen even pinker than the one you pictured on the right there. I really like the Ikea one. I love this! Oh, the endless possibilities of the cardboard box. I think you probably got away lightly with paint on the sofa. 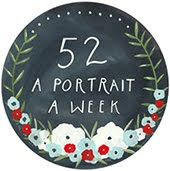 This is lovely, the handmade one rules! But the pink one is cute too, i remember being really excited when i got one of these as a kid. Oh that kitchen on the left picture is perfect! But you did a great job as well... For children it's all about the play fun, and not about the look! Any young, imaginative child is sure to love playing with toy cooker kitchen. The young chefs in your life are sure to love toy play kitchen with it's bright colors and adorable details. It looks good for the child to play a mock kitchen. So, what did you do when Kate & Wills got Wed?